The summer of 1976 saw the Seaview walls rise, rooms begin to take shape. To pay the rent, Noel baited hooks for a charter boat skipper. 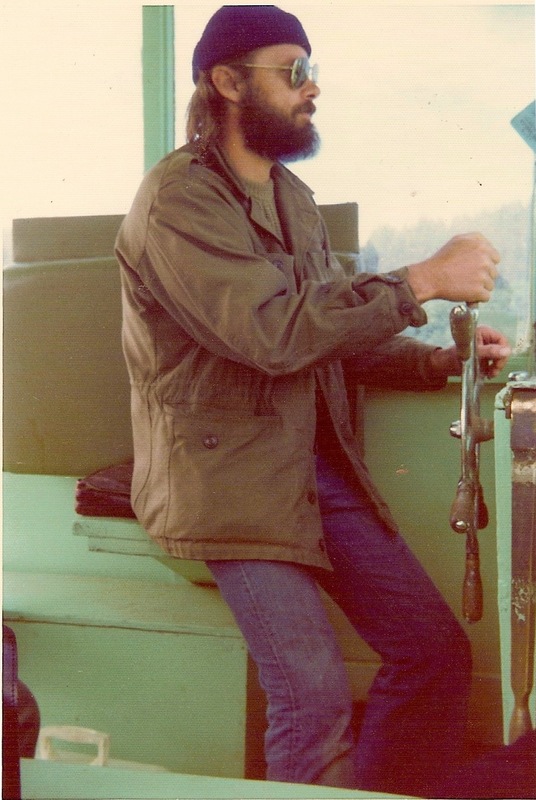 I still had my noontime radio program, and tried to grow corn in a fog bank—our town of Seaview made up one segment of a 26 mile long sand spit, jutting into the Pacific Ocean and adjacent to the mouth of the Columbia, where the average rainfall was 6 ft. per year. And, no matter what, the fog moved in every day by 4:00 p.m. The corn grew to about 3 ft., and stopped. It was all the energy it could muster from the limited sunlight. Most of our time was spent in the studio, nose-to-the-grindstone on The Seaview–a house that needed to put us up front in the miniature world. It was time to pay attention, to make a great house, not just a good one. Until then it had been somewhat of a lark. We had fun, our houses had been received well, and we thought we had the right talents to make a respectable structure; we loved old houses, Noel had his design talents and impeccable eye, and I had been raised in a 200 year old farmhouse my parents kept in a constant state of rehab and restoration. Weekends Dad would take out one of the old windows, strip off decades of milk paint, re-caulk and oil it, and put it back in. Anything with paint was a project. 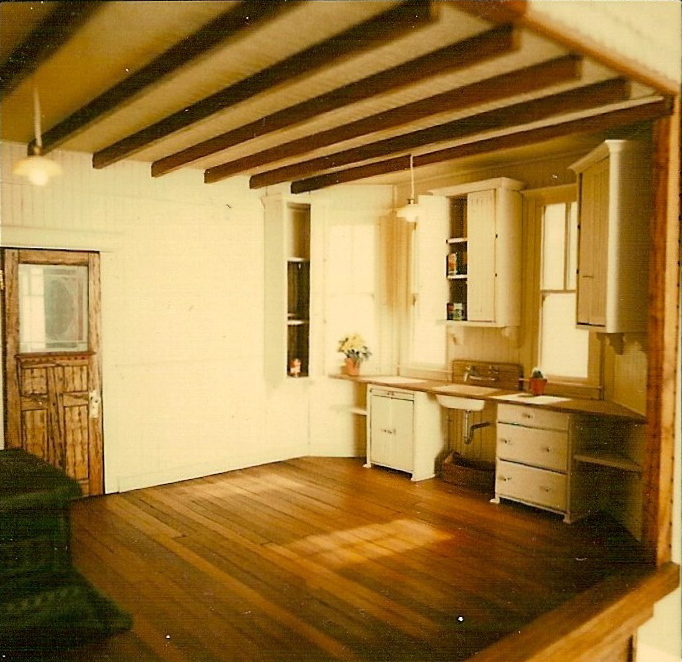 One day in the third grade I came home to find my mother had ripped out a plaster and lath wall between the kitchen and a pantry to make a dinette, or what she called The Buttery. They also tore off an inappropriate Victorian porch, stripped and refinished the floors to reveal the foot-wide heart pine planks. Their labors armed me with skills that could be miniaturized. Then there were the skills we picked up along the way: glass etching so we could recreate period decorated windows and doors. 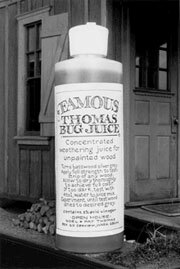 A hunter told us about a wood-aging solution for gun stocks, the same formula that would become Famous Thomas Bug Juice, a product we still sell to fellow craftspeople. While still in LA, Noel learned to make copper-foil stained glass, and the woman who came to our office to cut hair taught me how to cut Noel’s. That last skill may seem a bit of a stretch, but it did help us save money in our seat of the pants lifestyle. In order to finish a house as complex as The Seaview in 2 ½ months, we developed a strict work ethic—up at 5:30-6:00 a.m., no TV during working hours, meals in the studio, and work until bedtime, which was often after midnight. Noel cut and assembled walls, and milled trims, decking and floorboards. I sliced and applied shingles, flooring, molding and wallpaper. Relief came in the form of the requisite nap—1 hour at noon, sometimes out in that rare commodity, sunlight. 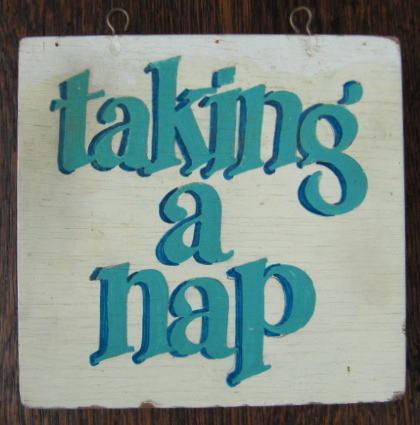 To discourage visitors and the chatty UPS man at siesta time, Noel made a nap sign that hung by the front door. The other break in the regimen came when Noel started looking shaggy–we’d pull up a chair in front of our tiny TV and turn on Perry Mason re-runs while I snipped and he snoozed. The payoff was watching the rooms come alive. This entry was posted in Bio, Houses, Miniatures and tagged arts, lifestyle, miniatures. Bookmark the permalink.